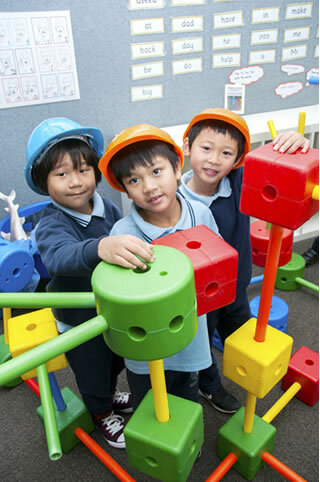 The school opened in 1958 and has served the Springvale, Springvale South and Noble Park communities as a centre of educational excellence to the present day. The school staff are highly trained educators, well equipped to provide high level instruction, with high expectations for academic, physical, social and emotional achievement. Many staff members are multilingual; languages other than English spoken by staff include: Vietnamese, Khmer, Chinese, Hindi, Greek, Italian, and Malaysian. The school is an integral part of the community and the student population is culturally and linguistically diverse. The school receives National Partnerships funding. Heatherhill Primary School forges and maintains strong community links and in 2011 and 2012 received major awards for its contribution to Cultural Diversity. Heatherhill Primary School has a current enrolment of 230, ensuring that all staff, students and families are well known to each other, working and learning together. The school implements the priorities of the Victorian education system, emphasising the importance of providing all students with strong foundations in literacy and numeracy learning. The development of Personalising Learning through Inquiry, Investigations and Thinking enables students to be well equipped for their futures in a 21st Century world. Relationships form the basis of all learning. Learning partnerships are formed to enable students to drive their own learning. Learners' engagement needs are met through rich and authentic learning experiences. Learning starts from the point of need, extending and challenging learners to achieve growth and success. Evidence of learning is made visible within the learning partnership. Assessment and learning continua are used to match the curriculum to the learning needs of individual students. Major building works (BER) completed in 2012 provide the school with flexible learning spaces, facilitating 21st Century Teaching and Learning. Heatherhill Primary School's motto is: Learning to Excel Together. The school logo was redesigned in 2010 to represent the common heath flower, epacris impressa, a plant indigenous to the Springvale area. The stalks of the flowers combined with a rising horizontal cross bar, representing the "hill" of Heatherton Road, make the letter "H" - for Heatherhill. The symbols are encircled to represent "community".